Some would say that wedding rings are one of the most important investments in your life, and we agree. You can’t forget these on your big day! A wedding ring is a symbol of your unconditional love for each other. One of the funnest parts of a wedding process for the bride is getting to pick out the perfect dress. After trying on several, you will finally find the one that is perfect for you, and more than likely it will bring tears to your eyes. Also, don’t forget lovely dresses for your bridesmaids! Of course we can’t forget the needs of the groom on your wedding day in one of our Gatlinburg TN log cabins. The occasion isn’t complete without a handsome groom in a tuxedo. Make sure to remind his groomsmen about their attire as well! A guest list is important because you want to be able to see how many people are coming to your event. The amount of people can affect the price and location of your event because of the space needed to accommodate your entire party. 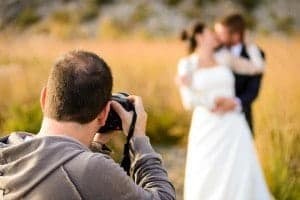 Sometimes memories aren’t enough for cherishing a special time, which is where a photographer or videographer come in handy. Getting your wedding at our Gatlinburg TN log cabins on film is one of the best ways to visually remember all of the love and warm feelings surrounding you that day. There are several instances in your wedding where flowers are useful, and some of those include: the bridal bouquet, bridesmaids’ bouquets, flower girl basket, groom’s boutonniere, groomsmen’s boutonnieres and appropriate arrangements for the parents of each party. Not to mention, flowers are a great decoration for your ceremony down the aisle, around the chairs and many other places. Who doesn’t love cake, right? Everyone knows that a great celebration always includes cake, and because your day is something to be celebrated, you can’t do without it. You will be thanking yourself and so will your guests once they taste your beautiful sweet treat. Of course you need to have a minister or someone who is ordained at your wedding in order to properly be wedded. It makes the event even more special if you call upon someone you know to wed you together. Wherever you decide to go after your cabin wedding is over, make sure you have transportation from the event planned ahead of time. When you and your groom walk down the aisle happily wed, hand in hand, you want to make a stunning and flawless exit. We should have put this at number 1, right? You absolutely can’t forget about celebrating your unity together alone! One of the best perks about a wedding in one of our Gatlinburg TN log cabins is that you can have the wedding, reception and honeymoon all in one place! Now that you know everything you need for your big day, you can’t forget to book your location! 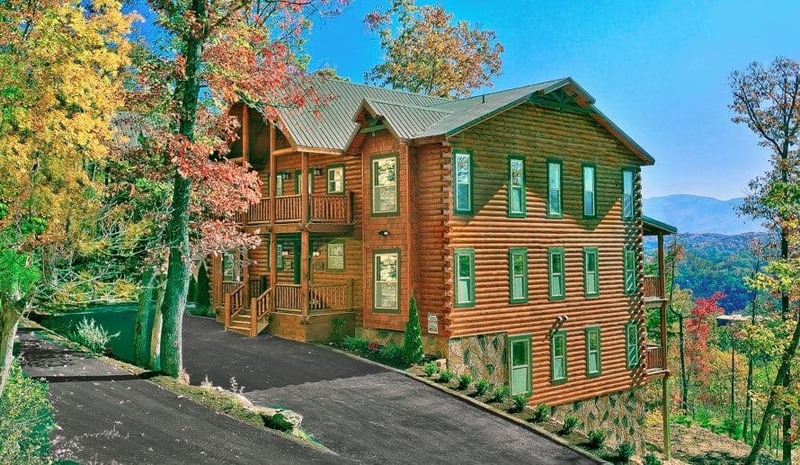 Make sure you reserve one of our large Gatlinburg TN log cabins for this extra special occasion today!